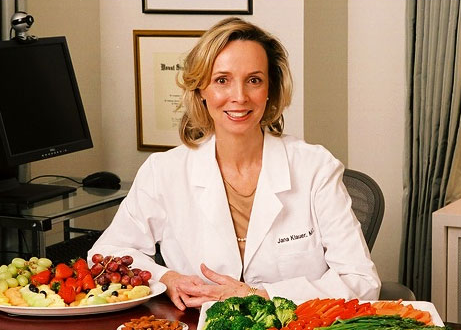 Back in July, I had the opportunity to talk with physician, author, and top-selling nutritionist Dr. Jana Klauer and share her health advice with all of you. She was such a hit and so informative, that I sat down with her again to find out answers to more of my burning questions! Here they are! Question: What are your suggestions on how to create a healthy lifestyle within a family? It all used to be so simple. The family sat down for dinner together, ate a wholesome home-cooked meal. No ordering out or eating fast foods. This is the way it was before both mom an dad worked. 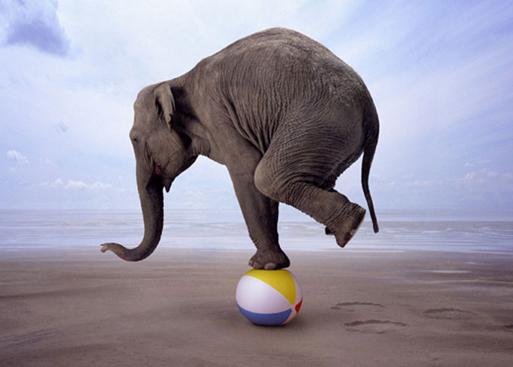 Now moms struggle with finding balance between work and home responsibilities. Today there are not enough hours in the day! So what to do? 1. Keep a big calendar in your kitchen where important dates can be penciled in. 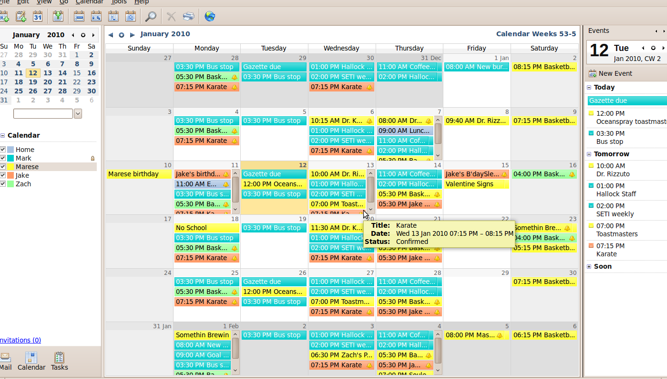 You need to keep track of where you are expected, whose birthday is coming up, when your children’s school plays and vacations will be. 2. Make a point to have the best, most delicious fresh fruit available when between-meal hunger strikes. Manhattan Fruitier, Grace’s Marketplace, Dean and Deluca, and Whole Foods are good sources. The quality is very important – the goal is to purchase fruit that is irresistible! What about vegetables? I always have a large glass bowl filled with crudites in the refrigerator – peppers, celery, tomatoes, cucumbers, carrots, etc. I started doing this about 5 years ago; and I have no doubt that I consume more vegetables today. The idea is to take hunger out of the equation by replacing the awful stuff with beneficial, healthy food. Honor your body and mind. Just looking at this makes me want to eat veggies! 3. Children have quirky palates. They shift their taste preferences constantly: love a food one day and won’t touch it the next day. There is a good amount of scientific research now about children’s taste preferences. What the mother consumes during pregnancy and when she is breast-feeding has an impact on her baby’s acceptance of vegetables. Flavors from the mother’s diet are transmitted through amniotic fluid and breast milk. If mothers want their babies to learn to like vegetables, especially green vegetables, it is important for the mother to eat them while she is expecting and nursing. Question: How do you teach kids / one’s partner about a healthy lifestyle without making them afraid of certain foods? Have you noticed how toddlers are interested in what adults are doing? There is no area where this is more true than food. 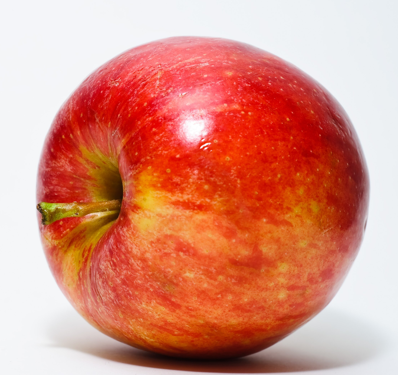 If your toddler sees you happily munching an apple, that toddler is going to want to try it. Or if you are chowing down on a Krispy Kreme, well, you know what message will be sent. Be a great example to your children. If a child sees a parent eating an apple, they will crave it, too. PROMISE. Question: What do you think of juicing? The juicing phenomenon really seems to be all the rage now. This is most certainly not a long-term solution for weight management. However, juicing for a few days after the holiday season helps many to feel better. My advice is to keep it to no more than three days and emphasize vegetable juices. Organic Avenue Green Love is delicious. By the way, since many people do not eat enough vegetables, including a serving of vegetable juice in the afternoon is a smart way to up your intake without committing to a full juice diet. 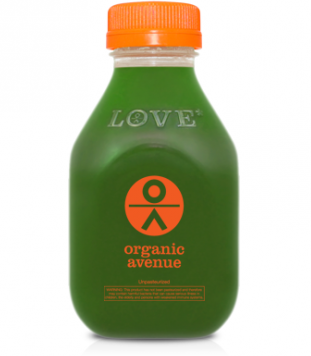 Organic Avenue’s Green love consists of pear, lemon, kale, swiss chard, spinach, parsley, collard greens and romaine! 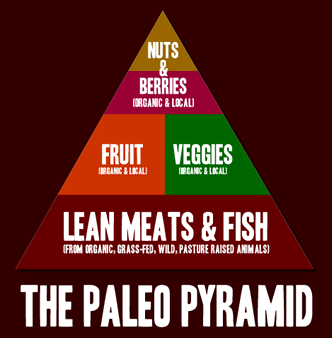 Question: What do you think of the Paleo diet? Raw Food diet? The Paleo Diet and raw food diet are interesting. I think that people are fed up (excuse the pun) with processed foods and empty calories. These two diets represent an attempt to return to a saner situation. But I see pluses and minuses for each of them. Neither has shown very impressive results long term. Everyone needs an individualized plan. By that I mean if your cholesterol is out of control, we can address it through a low fat approach; if your blood sugar is high or if you have been diagnosed with insulin resistance during pregnancy, then the goal is to focus on foods which do not spike insulin signaling. Do you experience bloating and abdominal discomfort after meals? You may have gluten intolerance or gluten sensitivity. It is not a one size fits all approach. 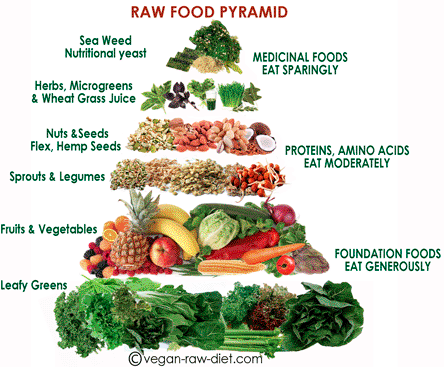 Raw food diet is basically, veggies and fruit. Paleo diet is what cavemen ate. Anything that they could catch, basically. Foods that we eat have profound affects on our bodies. Micronutrients can turn genes on or off. 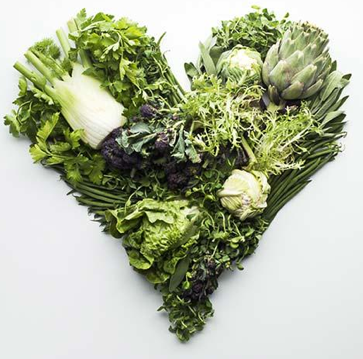 Lutein and Zeaxanthin are examples of micronutrients from green plants that prevent blindness! Omega 3 fats from green plants and fish concentrate in our brains optimizing our moods. 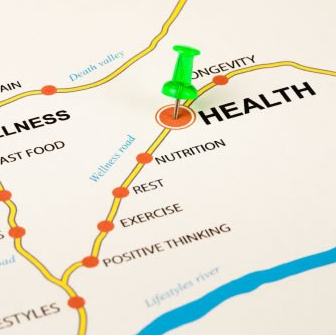 Question: Since it is the New Year, how do we stick to a healthy lifestyle? Any tips? Look, we are all on a journey here on earth. We want to learn and accomplish as much as we can. For this, we need good food to fuel ourselves. We are designed to move so we need daily exercise. There are no short cuts. Personally, I am not a super athlete or a trained chef. I am self-taught in both areas. And I am committed to living a full, healthy life because it is fun. I feel great because of the way I live. Road to a healthy lifestyle! Thank you, Dr. Klauer! You truly are an inspiration! Remember, if you want to know more about Dr.Klauer, check out her website which features additional tips on diet and exercise, a monthly column, and more about her services. Also, like her on Facebook to get tips straight to your newsfeed! I am glad she doesn’t support the full juice diet. I did it once for a week and it was one of the least fun experiences of my life. I tried multiple times as well, and quit at 11 am. She has such a balanced and reasonable approach to health. So refreshing in today’s world of fad diets and extreme health trends. 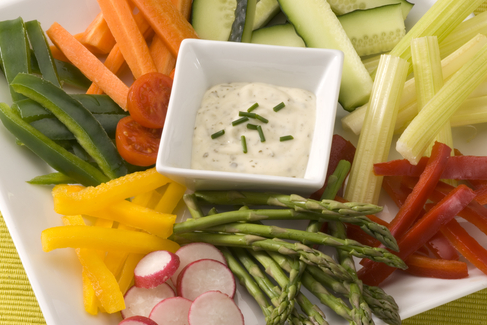 Love the idea of keeping a plate of crudités in the fridge! She is such an inspiration, right??? Very refreshing indeed! I love this post. Very on the money and so sane. Plus I want my skin to look like hers! I want to look like Dr. Klauer! !